A recent study published in PLOS ONE shows that stroke patients have difficulty sleeping, and there’s lack of data concerning seniors and chronic patients. The problem with stroke rehabilitation is that it focuses on daytime activities while ignoring the issue of insomnia. Lack of adequate rest leads to or worsens symptoms of depression and memory problems; it also increases risks for falls. 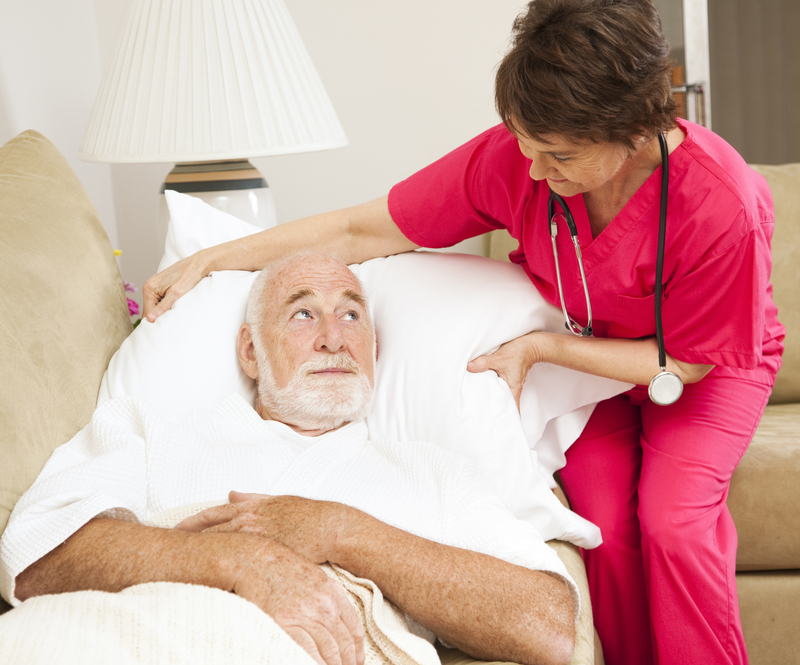 If you’re worried about your elderly loved one getting up at night and falling unbeknownst to you, you can increase your peace of mind by having a caregiver from A-1 Home Care in Newport Beach or a neighboring city. 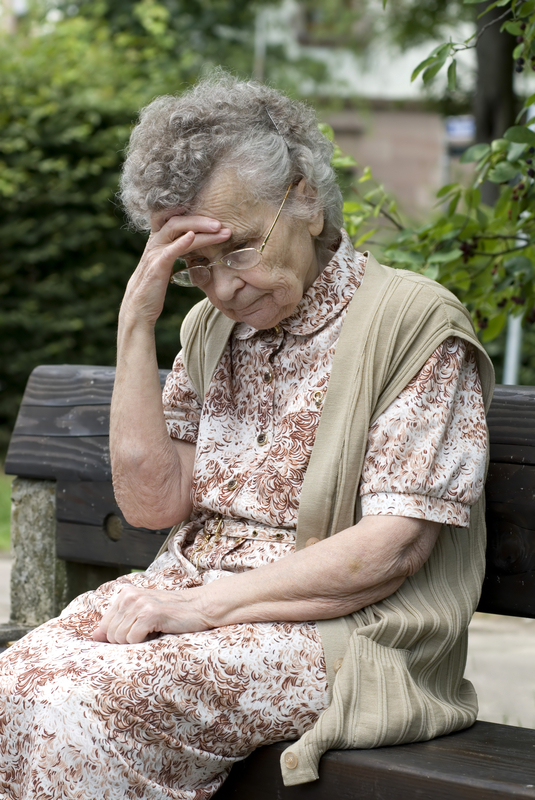 You cannot afford to lose sleeping while caring for an elderly loved one who struggles with insomnia. That’s why A-1 Home Care in Newport Beach has affordable overnight care that fits your budget and meets your loved one’s needs so you can get adequate rest for the next day. A-1 Home Care serves seniors 24 hours a day in Newport Beach, Laguna Beach, Corona del Mar, Tustin, Costa Mesa, Huntington Beach, and other neighboring cities. Our highly skilled and experienced caregivers will set a routine for meals, bath time, exercise and bedtime to help your elderly loved one sleep. If it’s too noisy, the caregiver will make adjustments around the house to keep distractions out. At bedtime, they’ll read a book aloud or just keep your loved one company – whatever it takes to help your parent fall asleep. Since its inception in 1991, A-1 Home Care in Newport Beach has made an astounding impact on seniors and their families for 25 years and is still going strong. Licensed, bonded and insured, we conduct thorough criminal background checks, DMV checks, and professional reference verification to ensure senior safety and security. Recruiting the best caregiving talents in Orange County, we offer you a culturally and ethnically diverse pool of caregivers to choose from, and you can enjoy 24 hour caregiving services at competitive, unbeatable prices! For Stroke Care, call A-1 Home Care today (949) 650-3800 or visit our website www.newportbeachinhomecare.com for more details. Categories: at home care, Care Giver, Caregiver, elder care, elderly care, home care, homecare, in home care, Live In Caregiver, Newport Beach CA | Tags: elderly, help at home, home care, homecare, laguna beach home care, live-in care, live-out care, newport beach, newport beach in home care, senior care, tustin home care | Permalink. Elders who are still functioning in the home often would benefit from a little extra assistance here and there. That’s nothing to be ashamed of, especially when round-the-clock care can be at their service 24 hours a day, 7 days a week. At A-1 Home Care in Laguna Beach, our specialized caregivers offer live-in care services from their helping hands and golden hearts to the seniors they have the pleasure of serving. The diverse elder care experts on staff have years of experience in home care provision and are multi-cultural so that people from all walks of life, including Jewish, Middle Eastern, Asian, and European, can be properly cared for—right from the comfort of the home. A-1 Home Care offers many different 24 hour care services that never overstep boundaries, giving elders the autonomy they need in the environment they feel most comfortable in. A-1 Home Care also offers incontinence care, respite care services for overworked family caregivers, Multiple Sclerosis care, and much more. It’s this dedication to providing the best home care options in all of Los Angeles and Orange County that has allowed A-1 Home Care to retain the honorable distinction as the caregiver agency trusted most for 20+ years and counting. To find out more about A-1 Home Care and its affordable care services, pick up the phone today and call (949) 650-3800 or (562) 929-8400. A-1 Home Care is proud to serve neighboring communities in cities like Irvine, Corona Del Mar, Newport Beach, Costa Mesa, and Fountain Valley. Categories: 24 Hour Care, Caregiver, caregiving, elder care, homecare, in-home care, live-in care, Los Angeles, multiple sclerosis care, Orange County, Respite Caregiver | Tags: 24 hour care, caregiver, caregiving, elder care, homecare, in home care, live-in care, Los Angeles, multiple sclerosis care, orange county, respite care | Permalink. According to an online source, Veterans and PTSD (2015), there were 2.7 million Americans as of September 2014 who fought in Iraq and Afghanistan wars, and at least 20% of those soldiers suffer from PTSD and/or Depression. “Veterans and others who have sustained traumatic brain injuries often experience persistent cognitive and psychological difficulties, such as depression and/or post-traumatic stress disorder, which hinder day-to-day life activities,” commented Dr. Sandra Bond Chapman, founder and chief director of the Center for Brain Health. If you have a loved one who bravely fought for our country but is suffering the repercussions of war, A-1 Home Care in Newport Beach is here to offer assistance with daily activities while your loved one gets better. Emotional mood disorders also have physical consequences, such as digestive problems, decreased energy, difficulty with concentration, and trouble with remembering details. A-1 Home Care in Newport Beach offers part-time and round-the-clock in-home care for veterans who suffer from depression resulting from traumatic brain injury. Our seasoned, highly skilled caregivers will cook, clean, provide transportation and emotional support for your loved ones. All of our certified nurse aides, home health aides, caregivers and companion care aides are thoroughly prescreened and verified before they enter your sanctuary. A-1 Home Care has been serving families in Newport Beach, Laguna Beach, Costa Mesa, Fountain Valley, Fullerton, Villa Park, and other cities in Orange County for 24 years. Delivering excellent brain injury care to veterans, A-1 Home Care offers the most competitive rates in Southern California for those who pay out-of-pocket. Easy financing options are available with reasonable payment terms, and A-1 Home Care accepts Veteran Benefits as well as long-term insurance from providers like John Hancock, MetLife Insurance, Penn Treaty and CALPERS. For Brain Injury Care in your area, call A-1 Home Care today (949) 650-3800 or visit our website www.newportbeachinhomecare.com for more details. Categories: at home care, Care Giver, Caregiver, elder care, elderly care, home care, homecare, in home care, Live In Caregiver, Newport Beach CA | Tags: a-1 home care, brain injury care, caregiver, elderly, help at home, home care, newport beach, newport beach in home care, tbi caregiver, traumatic brain injury, veteran benefits, veteran benefits for home care | Permalink. Nobody likes to be forgotten on Valentine’s Day, yet the elderly are the most forgotten population alive. You may ask, “It’s only January, so why are we talking about Valentine’s Day now?” Walk into any retail store and you will find red and pink hearts everywhere, from candy to cards to romantic gifts. How can anyone not think of this holiday? It’s just another Hallmark holiday for retailers, but for the general population, it’s a reminder of what we have (or do not have). If one of your parents has passed away or is divorced, take time to remember your elderly loved ones. Whether you live far or near, A-1 Home Care can help you encourage your elderly loved ones in Newport Beach or in neighboring cities. Loneliness and depression go hand in hand, especially around Cupid’s holiday. A-1 Home Care in Newport Beach has a large pool of caregivers from which you can choose if you are looking for an appropriate companion who will help your loved ones take their mind off their depression. A-1 Home Care is not a dating service, but it provides professional companion care for seniors who may be prey to finding love in the wrong places, like senior dating sites where predators lurk and search for vulnerable elderly widows and widowers. Having a home care companion will decrease your parent’s chances of scams; our caregivers will monitor your loved one’s online activities, especially if they have Alzheimer’s and Dementia. Other home care services include assistance with meal preparation, laundry, light housekeeping, transportation, toileting care, overnight care, and specialized care like Parkinson’s Care and Stroke Care. We are an established home care agency that’s been in business since 1991. Over 23 years, we have won our clients’ trust and they continually refer friends and family members to us because of the superior in-home care services they have received. Licensed, bonded and insured, we make sure that each caregiver passes an extensive criminal background check and professional reference check before we send a stranger into your own home. You get a say in whom you want to enter your sanctuary as well; our interview process has two parts. Our management interviews and screens applicants, and when you sign up with us, we introduce a few candidates to you so you can choose which one you want. A-1 Home Care provides live-in 24 hour care and live-out care on an hourly basis to communities in Newport Beach and surrounding areas. To hire a caregiver today, please call A-1 Home Care (949) 650-3800 or visit us online www.newportbeachinhomecare.com for more information about caregiver services in Newport Beach, Huntington Beach, Costa Mesa, Tustin, Laguna Beach, Villa Park, Fountain Valley and surrounding areas. Categories: 24 Hour Care, caregiver services, costa mesa, elder care, homecare, hourly home care, huntington beach, laguna beach, live-in care, live-out care, Newport Beach CA | Tags: alzheimer's and dementia, caregiver services, caring for seniors, companion, companion care, elderly care, home care services, home caregivers, homecare, newport beach, parkinson's care, seniorcare | Permalink.